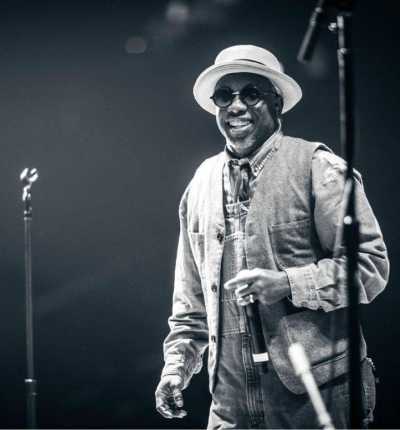 Corey Glover will be making a couple of area appearances in the coming month. He will be at The Hamilton as The New Stew and at Celebrate Fairfax as Living Colour. Over the ensuing years, the band (also consisting of bassist Doug Wimbish and drummer Will Calhoun) won a Grammy for Best Hard Rock Album in 1991, became headliners at the inaugural Lollapalooza and toured with both Guns N’ Roses and the Rolling Stones. By 1995, Glover and his bandmates couldn’t agree on what direction the band should go in, so they decided to part ways for a little bit. A surprising reunion saw the band play at CBGB’s at the end of 2000 and Living Colour would create a stir at Central Park’s Summerstage in 2001. And that’s what the band has continued to do. Later this year, the band will be releasing a new album, “Shade,” and are touring throughout the year, including an appearance at Celebrate Fairfax on June 12. But lately, Glover has been finding some musical life outside of Living Colour, as a member of a super group calling themselves the New Stew, which pays respect to recordings that influenced the players and to re-imagine recordings that they feel should be heard and experienced in a live setting. The first homage honors the classic “Bill Withers—Live At Carnegie Hall” album, which was recorded live on October 6, 1972. In addition to Glover on vocals, the New Stew consists of Roosevelt Collier (The Lee Boys) on lap steel/ pedal steel, Yonrico Scott (Derek Trucks Band, Royal Southern Brotherhood) on percussion, Dave Yoke (Susan Tedeschi Band, Dr. John, Scrapomatic) on guitar, Jared Stone (Stone’s Stew) on drums, and Matt Slocum (Oteil and the Peacemakers) on piano.